The EUR/USD currency pair continues consolidating inside a narrow trading range near the level of 1.3330. I think today the price may leave this range downwards and continue falling down. 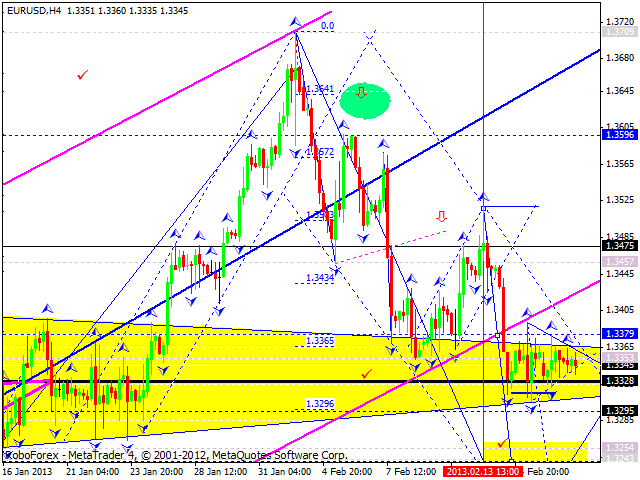 The main target is at 1.3240. After reaching this target, the pair may make a reverse to start a new ascending movement. 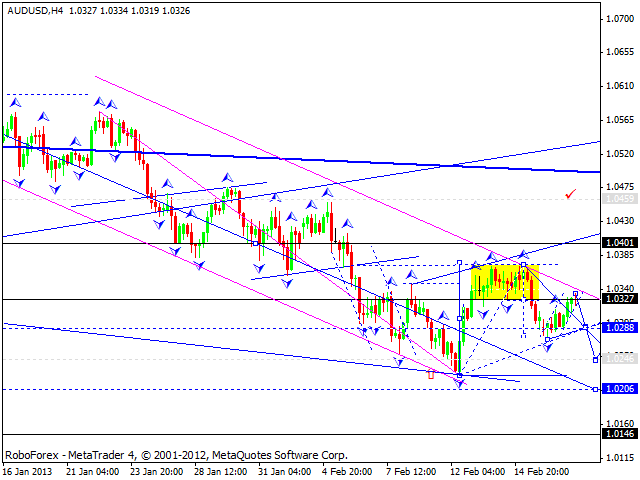 The GBP/USD currency pair continues consolidating near the level of 1.5500. I think today the price may leave this range upwards, reach the target at 1.5590, and then continue falling down towards the level of 1.5340. 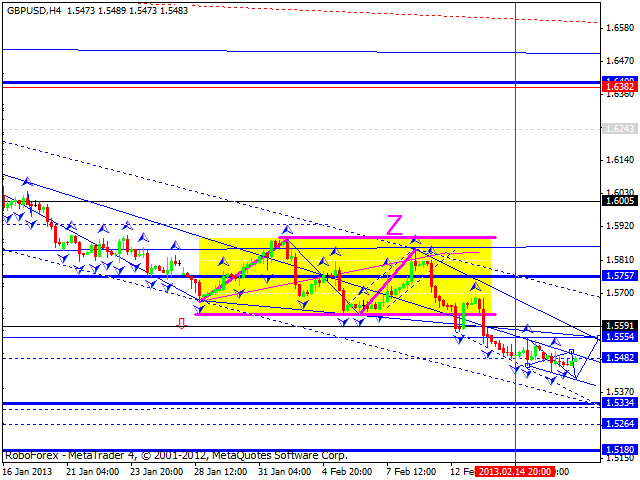 The USD/CHF currency pair is still consolidating near its maximums. 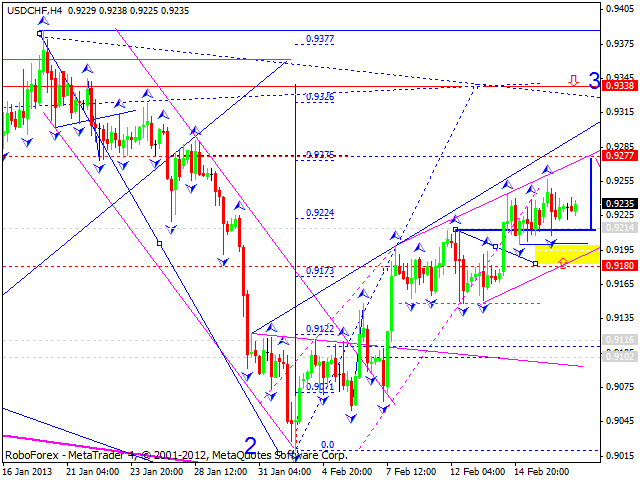 I think today the price may leave this consolidation channel upwards to reach the level of 0.9280. The main target is at 0.9300. Later, in my opinion, the par may form a reversal pattern to continue moving downwards. The USD/JPY currency pair eliminated the gap, which took place on Monday. I think today the price may continue consolidating inside a narrow trading range and then leave in to reach the target at 95. Australian Dollar returned to the level of 1.0330. I think today the pair may continue moving downwards. The first target is at 1.0250. Later, in my opinion, the price may consolidate for a while and then continue falling down towards the level of 1.0210. 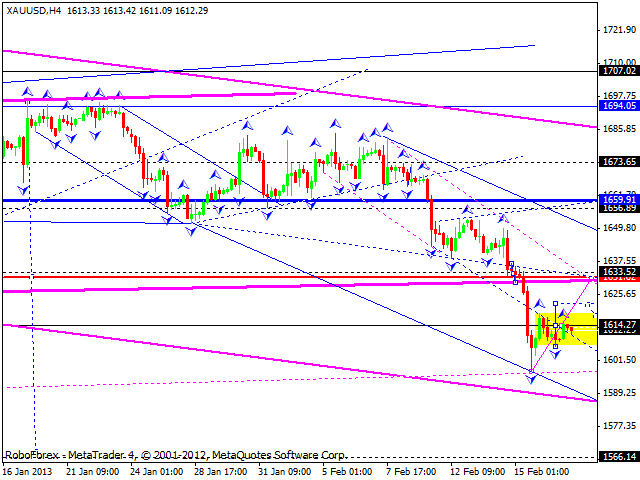 Gold continues a correction to return to the level of 1630. Right now the market is in the very middle of this ascending movement. 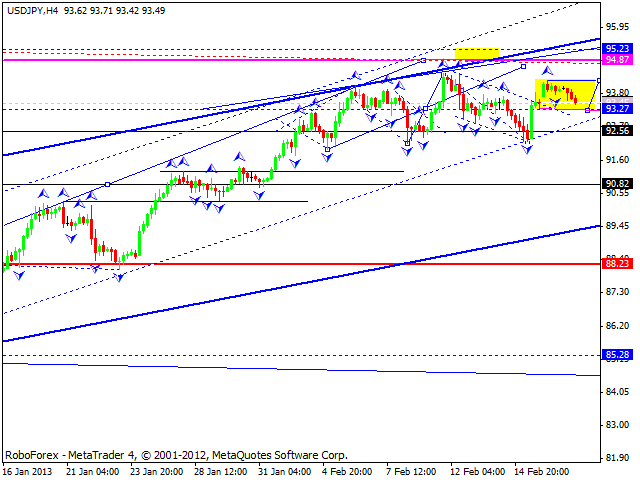 I think today the price may consolidate a bit near the level of 1615 and then continue growing up towards the target.